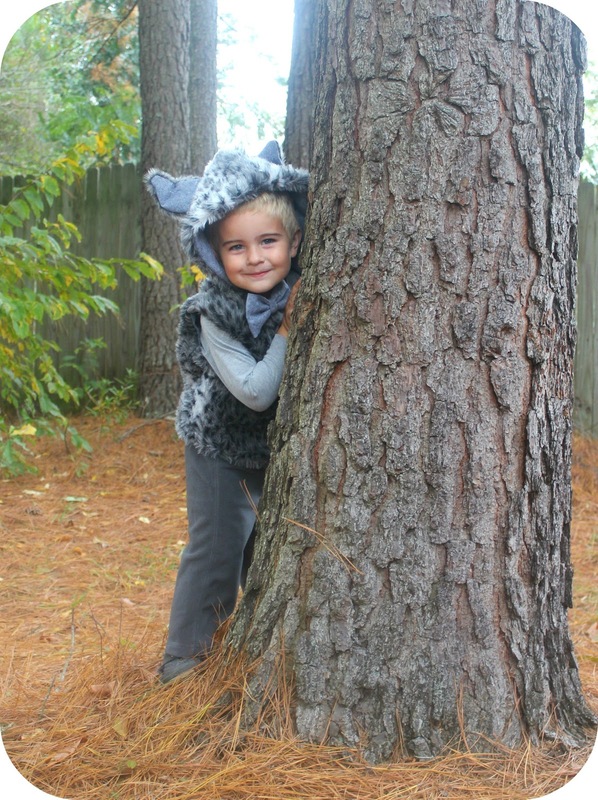 This year for Halloween, Ande informed me that he wanted to be the big bad wolf. 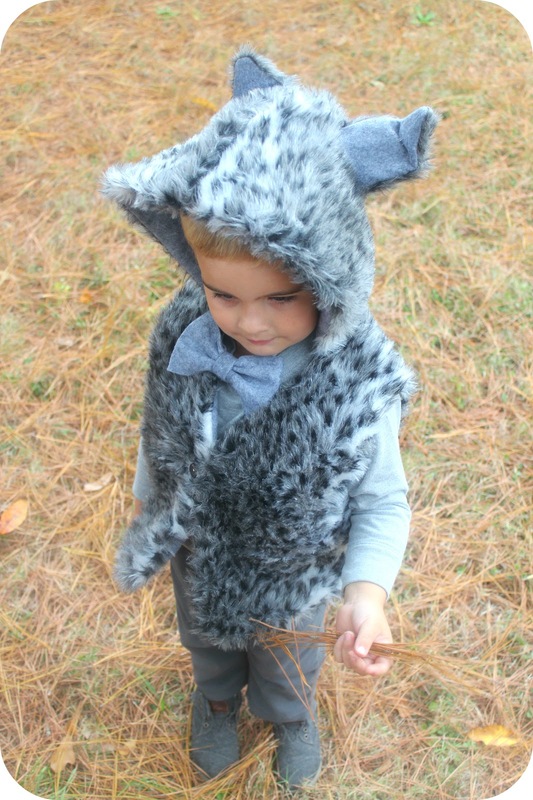 We have never read any stories of the big bad wolf to him before, so I'm still wondering how he came up with the idea. I did think it would be fun, however, so we went with it! so I decided to go with the "Three Little Pigs" idea instead. Since taking these pictures, I have made a few minor adjustments to the costumes. For Ande, I used black fabric spray paint on his fur vest. I really didn't like the leopard print fur, but it was all Joann's had at the time. I also added a tail, and some furry cuffs for his wrists. 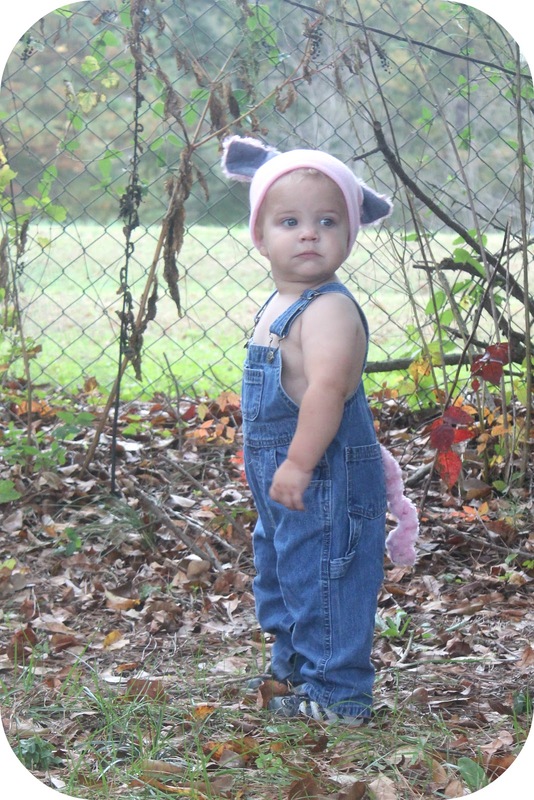 For Owen, I re-did the pig ears on his hat to have pink on both sides. I used pipe cleaners inside the ears/tails to have them curl the way I wanted. 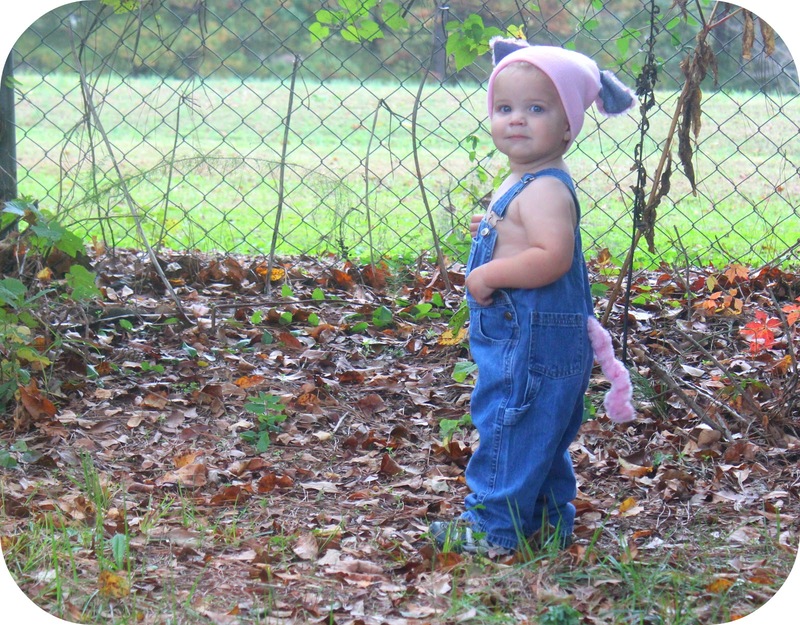 We tried using a pink shirt under the overalls, but Owen just looked like a pretty little girl. That didn't go over well with Curtis, so we will probably put him in a flannel shirt. and we will stuff some straw into his back pocket. 1. I traced a church vest of Ande's to create my pattern. Cut the pieces out of the fur and the lining and sewed just the sides together on each. 2. I traced a hoodie for the hood pattern and sewed around just the curved edge. 3. 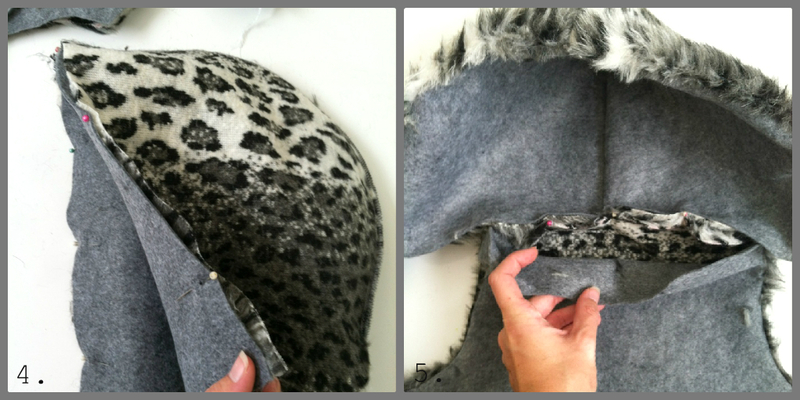 Lay the fur piece out flat and lay the felt piece on top, right sides together. Sew around the side and bottom edges only. Flip right side out. 4. Place the 2 hood pieces right sides together and sew around the front edge only, leaving the bottom edge alone. Then, turn it right side out. 5. Turn the edges of the neck line in about 1/4- 1/2 inch and hand sew the hood inside with a blind stitch. 6. Hand sew the shoulders together with a blind stitch. 7. 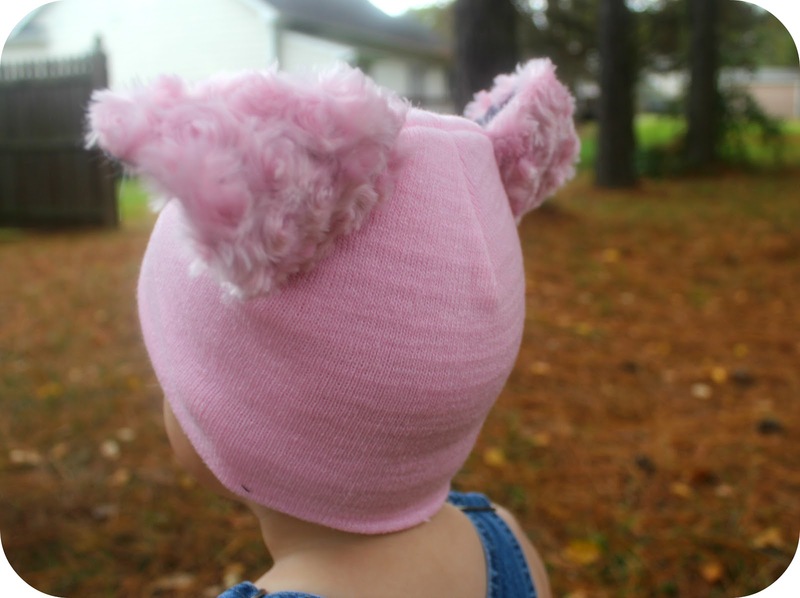 Create a pattern for the ears, sew them with right sides together, turn right side out, and hand sew to the top of the hood. 8. Add a button closure. 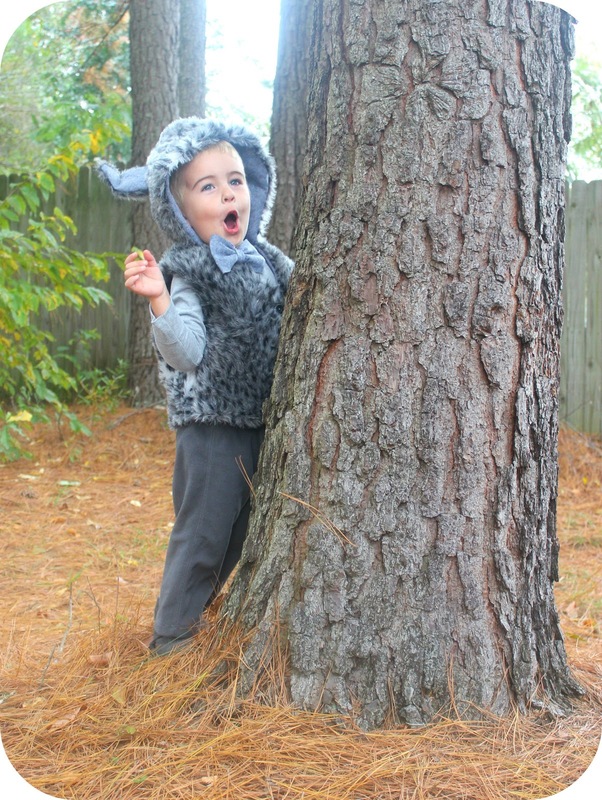 What are your favorite diy costume ideas?